Dusk settled on Sainte-Cecile square and the oil lanterns cast a soft yellow light as a storyteller took to the stage and bound the audience with a magic spell of words. The tale was about a naughty little girl who disobeys her parents and whistles at night -- a way of summoning evil spirits. She is attacked by fierce beasts but is saved from death thanks to the courageous intervention of her neighbour, a hunter. Djimada, a teenage high-school student, was among those who were captivated by the centuries-old story. "I was always told never to whistle at night but never understood why," she said. "Now I know." The tiny African state of Benin is perhaps best known to the world as the cradle of voodoo. But this is only part of a rich cultural history that includes a seam of folk tales, many of them handed down from generation to generation by walking storytellers known as "griots." Each year, a festival is held in Cotonou, the capital, to honour the proud tradition. 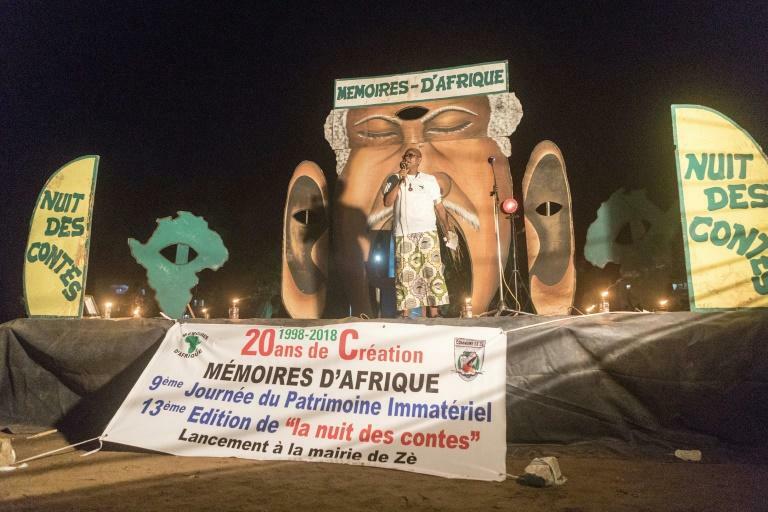 For two nights in mid-August more than 30 communities from across Benin held the event organised by a Franco-Beninese association, Memories of Africa, that is now two decades old. 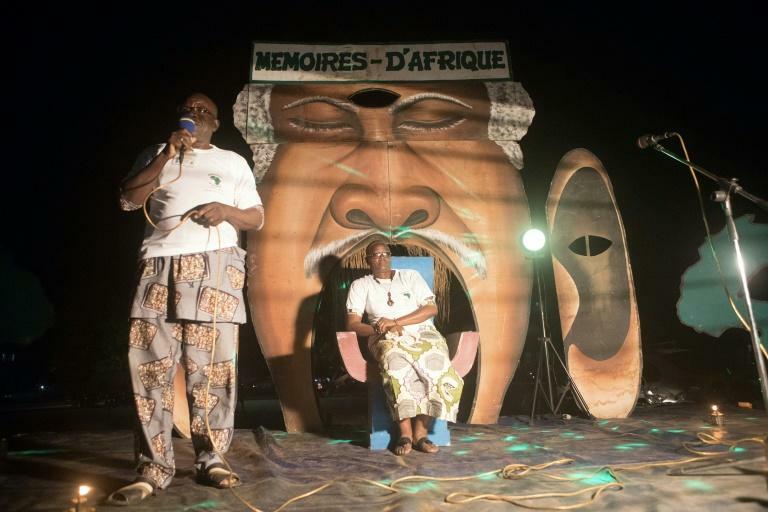 Amelie Armao, a professional storyteller from France, came to steep herself in Benin's oral treasures -- an extraordinary but vanishing catalogue of spirits, talking animals, magical creatures, kings and queens, heroes and villains and witches. "I started my career telling African stories," Armao said. "I find them steeped with meaning, humour and philosophy". Like Djimada, this was the first time many people in the audience were hearing the stories, a sobering reflection of the reality that oral storytelling has been losing its cultural prestige. Chris-Mael Tonoukouin, a private school teacher in Cotonou, came to the square to relive his childhood memories. "In the good old days, we sat on the floor around a kerosene lamp," said Tonoukouin. "We were listening to our grandparents tell these funny stories between humans and animals." Tonoukouin can be forgiven for feeling nostalgic. The oral tradition is being lost little by little, said Raoul Atchaka, a representative of Memories of Africa. "We must act so that the African wisdom is not forgotten in the tombs of the old people who die," said Atchaka. 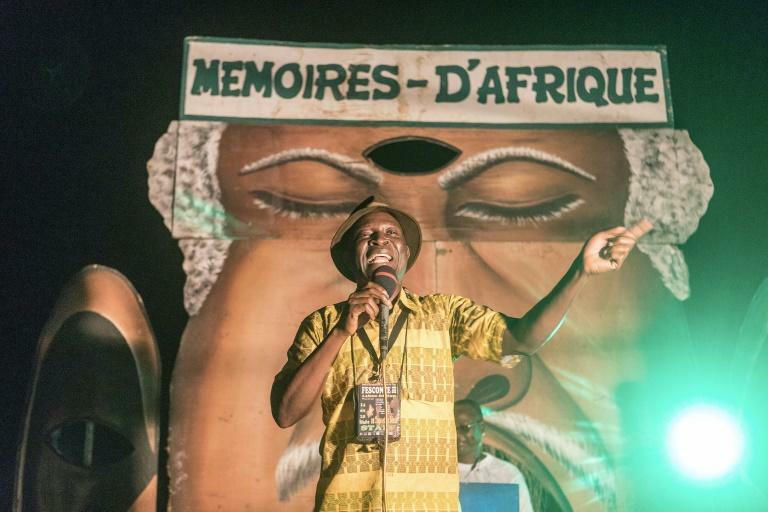 The point of the festival, whose tales are recounted in French and a local language, Fongbe, is get younger people to hear them, "and then teach their children," he said. To do this, the association held a storytelling contest in 2000. More than 1,000 young people took part in the contest to help create several books containing over 1,500 stories. Getting the stories on paper is critical for Beninese author Carmen Toudonou, who says the future of African fairy tales is not under trees but on pages of books. "I encourage writers here to be more interested in this genre, to be able to offer our children stories through which they can identify," Toudonou said. "We must create African heroes to stand alongside Snow White and Little Red Riding Hood," she said. "Then the parents have to read to them very early to make them later lovers of beautiful stories, lovers of reading." Transferring this knowledge is important to preserving Africa's heritage, said Patrice Toton, a Benin storyteller based in France. "Storytelling is for us a perpetuation of the knowledge, languages, practises and history of peoples," Toton said. "It plays a role of conservation of heritage, history, knowledge and perpetuates the identity of peoples." He hopes that 100 years from now a child in Benin will still know not to whistle at night, when wild creatures are lurking in the dark.